Despite the fact that it's been six years since my wife, kids and I have lived in Los Angeles, our family still spends a lot time there. A lot of time. Sunday afternoon January 1st we drove down to Los Angeles to see the Tournament of Roses (more commonly known as the Rose Parade), a few sights around Pasadena and downtown Los Angeles, and finally visit Universal Studios, Hollywood. Yes, we lived in Los Angeles for five years and never went to Universal Studios. Lots of reasons, but mostly because our kids were too young at the time. More on that later. For our little two night trip, we found an affordable hotel in Woodland Hills, on the western edge of the city of Los Angeles. My son and I visited Clifton's Cafeteria a year ago - we thought it'd be fun to take the whole family there for dinner. 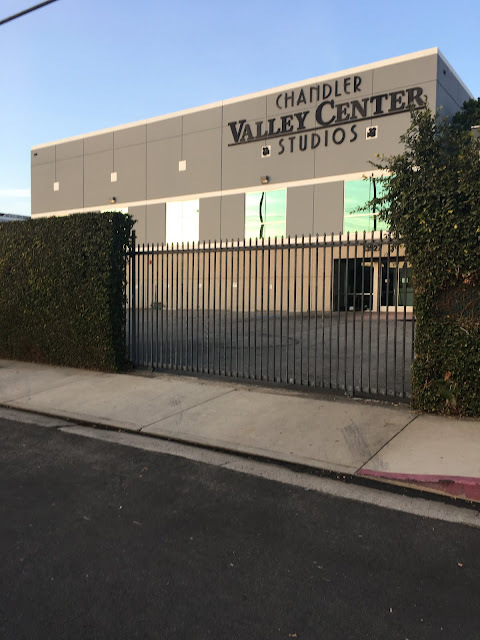 On the way to downtown Los Angeles, we stopped off near Van Nuys to see the outdoor location of one of their favorite shows. The NBC series "The Office" ran from 2005-2013. The outdoor scenes of the offices of Dunder Mifflin were filled at the Chandler Valley Center Studios. This is about 2800 miles away from Scranton, Pennsylvania - where the show is suppose to take place. The address in Los Angeles is 13927 Saticoy St Panorama City, CA 91402. The building is on a cul-de-sac, making it relatively easy to close the street during filming. While this office location could (maybe) pass for the Mid-Atlantic region of the US, I always enjoyed seeing palm trees in the distance as Michael Scott and company drove around "Scranton." We ended up watching all 8 seasons of The Office together as a family. Was that the best use of time? Probably not. While the show is very funny - there were times when we as parents we cringed at the content. One redeeming aspect was laughing at (rather than with) the antics of the characters. And I'd certainly rather watch this together with my kids - and talk about it - than have them watching it alone. Unless you're a fan of the show, there's not much to see. It's a business building. With a locked gate. 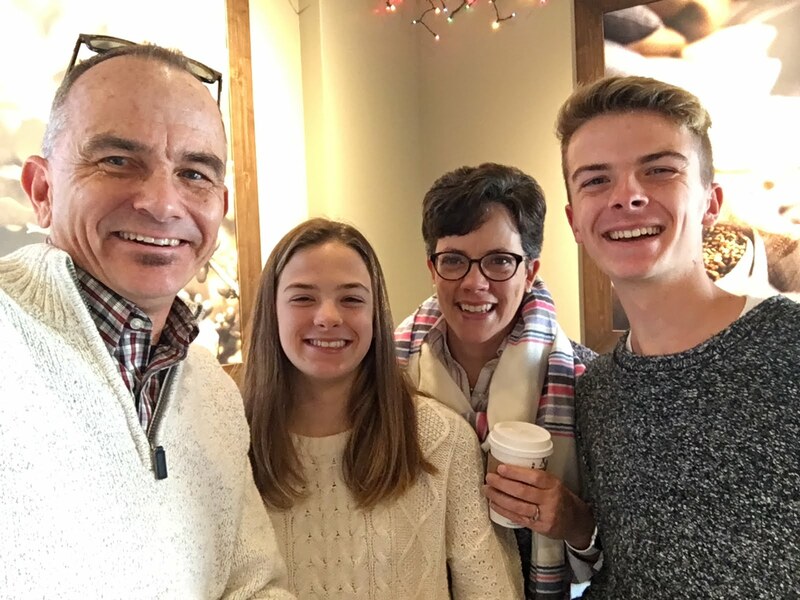 My kids - of course - posted pictures on Instagram and Snapchap, letting their friends know. 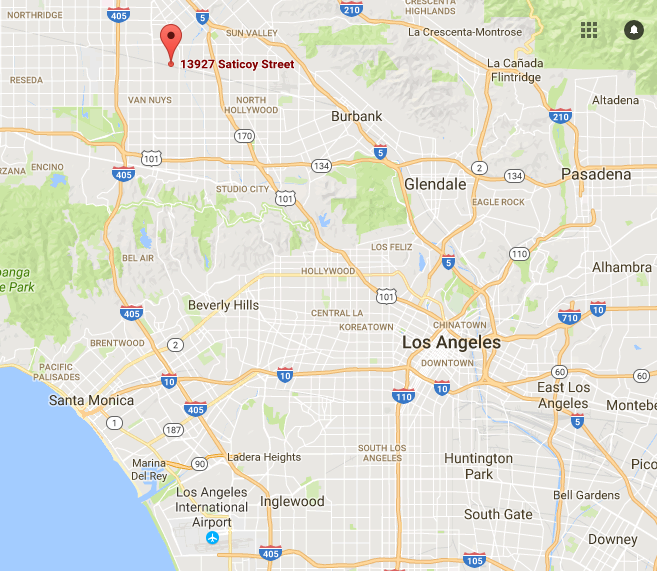 Here's a of a larger map showing where in Los Angeles 13927 Saticoy Street is. FYI, the names in all capital letters are communities within L.A. City limits. The names with both upper and lower case letters are independent cities - or unincorporated areas. Confused? No need to be. Check out this handy guide - the second most popular post on this blog - on what is and what's not part of the City of Los Angeles. Have fun, all you Office fans. 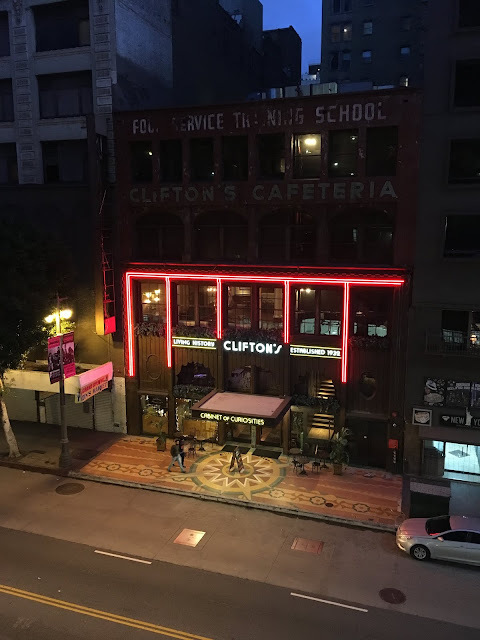 Afterwards, we drove to downtown Los Angeles for dinner at Clifton's Cafeteria. Here's a link to a much more extensive post with info on founder Clifford Clinton and his 1930's era cafeteria. Quick inside photo. Apparently, Clifton's was absolutely packed on New Years Eve - and open until 4am! Yikes. The next day, Sunday evening January 1st, it was much more mellow, with fewer food choices and the upper floor closed off. Our experience there was "just OK" - maybe not quite as magical as when my son and I visited a year ago. Traffic. Lots of traffic. Even on a Sunday night, parts of Los Angeles were stop and go traffic. After having seen La La Land, we wanted to drive up to enjoy the view at the Griffith Observatory. Apparently, we weren't the only ones. It was complete gridlock traffic from the Greek Theater all the way to the Observatory, so that would have to wait for another day. I let my 17 year old drive through Hollywood and Beverly Hills along Sunset Blvd - he really wanted to get some experience driving in L.A. traffic - and then we headed back to our hotel. The next day (and next post): The Tournament of Roses - aka The Rose Parade. Did it cost to visit the place ? 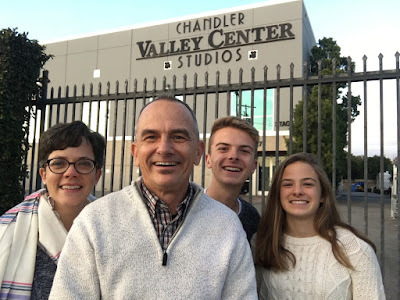 Hi UMitra - there's no cost to driving by and seeing the building where "The Office" was filmed. It's a small, private film studio --- and, unfortunately, the building itself not open to the public. I'm honestly not sure if any of the interior "The Office" sets are still there. If you're looking to experience a bit of Hollywood, I'd recommend the Warner Bros Studio Tour. Having personally been to five of the major studios here in Los Angeles (Universal, Sony, Disney, Fox, and Warner Brothers), it's your best bet.